American economist Nouriel Roubini is one of the main critics of cryptocurrency who does not believe in the potential of blockchain technology. Nouriel Roubini is a Turkish-born American economist and educator best known for predicting the 2007–08 subprime mortgage crisis in the United States and the subsequent global financial crisis. Born in Istanbul to Iranian Jewish parents on March 29, 1958, Roubini moved with his family to Iran and Israel before they settled in Italy in 1962. After a year at the Hebrew University of Jerusalem, he studied economics at Bocconi University in Milan (B.A., 1982) and Harvard University (Ph.D., 1988), where he specialized in macroeconomics and international economics. He became an academic at Yale and a visiting researcher/advisor at the International Monetary Fund (IMF), the Federal Reserve, World Bank, and Bank of Israel. 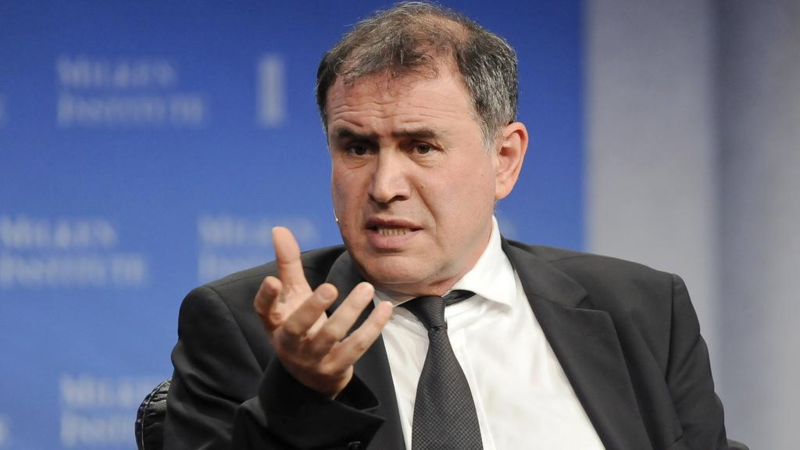 Roubini spent much of his early career studying countries that experienced extreme economic failures, such as Mexico (in 1994), Thailand and other countries associated with the 1997 Asian financial crisis, Russia (1998), and Argentina (2000). He determined that each shared one common element: a massive current account deficit. Roubini’s website, RGE Monitor (founded in 2005), became a central source for economic analysis of the global credit crisis. In 2010 he published Crisis Economics: A Crash Course in the Future of Finance co-written with Stephen Mihm. By 1998, he joined the Clinton administration first as a senior economist in the White House Council of Economic Advisers and then moved to the Treasury Department as a senior adviser to Timothy Geithner, then the undersecretary for international affairs, who in 2009 became Treasury secretary in the Obama administration. "You can be sitting still surfing the Internet, and experience other worlds, ideas, and societies. But I’ve found that there is nothing better than visiting a different country, even if for three days. ... You can’t only be a virtual Global Nomad, with goggles on, in a virtual reality. You have to be there. You have to see it, smell it and live it. You have to see people, travel, and interact." Nouriel Roubini says the cryptocurrency world is a "stinking cesspool" and is fundamentally “worth nothing.” He said in testimony to U.S. Senators in October that that crypto is "the mother or father of all scams and bubbles." "It is indeed laughable to think that useless crypto-currencies or s***coins have any fundamentals of value. Their fundamental value is ZERO or actually negative ... if you price correctly their negative externality of hogging energy and destroying the environment," he said in a tweet. Furthermore, the professor claims the “wealth in the crypto universe is even more concentrated than it is in North Korea.” He asserts that the claim of “decentralization” is a myth propagated by the pseudo-billionaires who control this pseudo-industry. He said during the same testimony at the Congress that “the technology now alleged to be the cure of all global problems, including poverty, famines, and even diseases” is actually “the most over-hyped and least useful technology in human history,"
All this said, Nouriel Roubini still insists that he is not against crypto. On the contrary, the professor says he is open to any type of innovation but is an expert on asset bubbles. Roubini believes that central bank digital currencies (CBDCs)by central banks will destroy cryptocurrencies. “The idea [CBDCs] deserves serious consideration, as it would replace an inherently crisis-prone banking system and close the door on crypto-scammers,” he wrote in a recent opinion piece on Project Syndicate. “If a CBDC were to be issued, it would immediately displace cryptocurrencies, which are not scalable, cheap, secure, or actually decentralized,” the economist claims.